By Nayantara Bhat | Balancing business and family can be a challenging proposition. Corporate events clash with school plays. Important calls with overseas clients take away from downtime with the spouse. The hectic work week can leave very little time for unwinding and enjoying some alone time. Prospect Resourcing Co-Founder Emma Dale has mastered this balancing act over the years, through starting her company’s Asia operations from scratch at the same time as getting her kids into school and raising them. Dale and Co-founder Colette Brown started their business in London in 2002, and were picking up traction when a takeover from another company began to threaten what they had worked to build. Dale and Brown were wary of the changes in culture their company would have to go through, and they knew it was time to split. After long discussions, Dale realized what she had to do: move her family to Hong Kong and start setting up Prospect Resourcing Asia. They had to think very carefully about how to proceed. They knew family would be important to both of them, and they wanted to create a company culture that promoted a boundary between work and personal life. For Dale, moving to Hong Kong also meant a boatload of work on both sides of the equation. “There was a hell of a lot of pressure on me at the beginning to make this happen,” she says. Not only did she need to set up the business, hire employees and find clients, she needed to settle into a house and find schools for her children. According to Dale, many of the women she’s encountered in her career and through her position as a mentor with The Women’s Foundation (TWF) don’t believe it’s possible to have both career and family. Although women’s entrepreneurship has seen an uptick and there are more professional and career-driven women than ever, many of them think it’s necessary to step away from their career for years – with some choosing not to re-enter the workforce at all. Dale says she still struggles at times to balance different parts of her life, and she relies on her partner to get her back on track. “It is a challenge, but I just have to be really ruthless and organized,” she says. She relies on strict scheduling to stay on track, and always keeps time on Friday mornings to unwind with a hike through Hong Kong’s hills. In the early days, working in a cold and isolated serviced office, it was easy to get lonely. 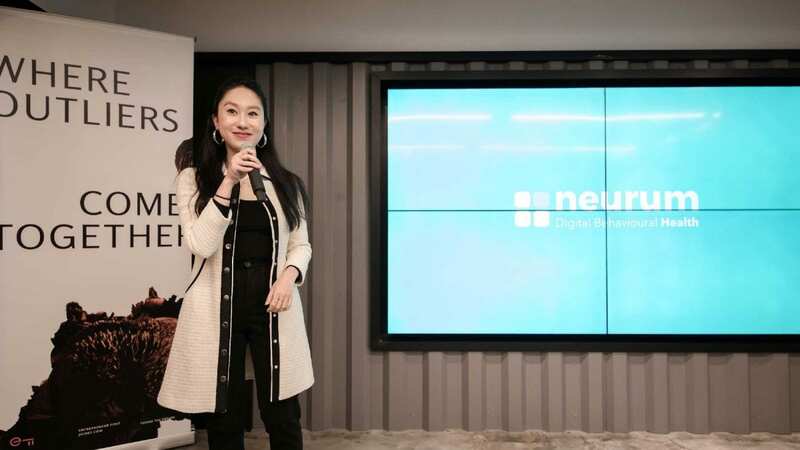 Once her team started expanding and co-working spaces started to grow in presence, her team shifted to the WeWork branch in Causeway Bay, Hong Kong. She says the shift has helped the team to network and meet like-minded individuals, integrating them into the community. For small businesses like Dale’s, flexibility is key. The team has a small office with three desks at WeWork, but Dale occasionally uses the rest of the space for networking events that are key to Prospect’s work in sourcing talent. While she can’t fix these issues in the greater community all by herself, she makes sure that her staff keep a balance just as she does. She says that setting a good example as the leader and making her priorities and schedule clear go a long way towards making her employees comfortable with taking time for themselves. Nayantara is a reporter at Jumpstart in Hong Kong. She studied journalism at The University of Hong Kong and is passionate about innovation, social enterprise, and alternative finance. She’s a hobbyist photographer, and is currently on the lookout for the best burger in Hong Kong.